Well I have as many before and after me become kind of a X-wing junkie. 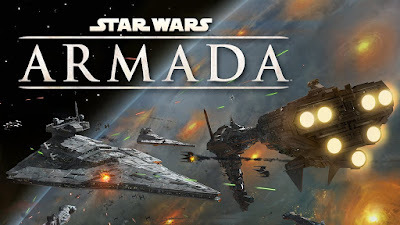 I actually got a Swedish version of the game from my wife soon after the initial release and I bought some of the iconic ships that came in the first waves especially the rebel ships. But I didn't play it that much, mainly because of other gaming commitments. For long I frowned upon all the weird ships they were releasing. But early this year one of my friends that lives in my neighborhood contacted me and asked if I wanted to play some X-wing after work. We played two more evenings that week, I was kind of saying "I will stick to the rebel ships". I bought some ships, and then I heard from a friend that had bought a substantial collection of x-wing ships recently. He had to many of the Imperial ships that I didn't have, so I went a head and bought them from him. Another friend that was getting out of the game had a gaming mat and some more ships... What do you know soon I had a massive collection of X-wing, how did this happened? During this year I have attended many X-wing tournament, big and small. For many it seems that the advantage of X-wing is a good game mechanic, pre-painted models and/or list building options. But for me its really the amount of players and events to play, I have to play a game a lot to get good at it. One more thing that is great about it, even if its great for competitive play, we also had massive fun in my gaming group with Epic play (more points and larger ships) and we even played a co-op campaign. So Dennis, when will we play again?